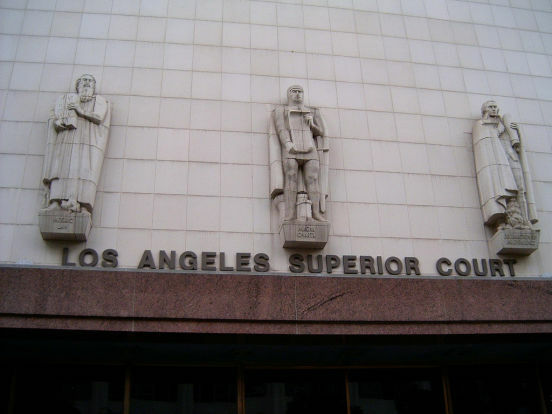 Small Claims Court arising in LA County cases are heard in over twenty-six different courthouses across Los Angeles County. This is because the Los Angeles County Superior Court is one of the largest judicial systems in the country, let alone the world. Some are big courthouses where we recommend giving yourself plenty of time to park, get through security, and find your courtroom. If you are in a large courthouse, you may find yourself in a department that handles small claims cases every single day of the week. However, at a smaller courthouse you may only find small claims court cases are handled one morning, one day a week. After you fill out the form and complete the questions online, the court will send you a Notice of Receipt of Documentsto the e-mail address you provide which will include an e-filing ID Number. If your claim is not accepted by the court, you will be e-mailed a Notice of Rejection of Filing detailing the reasons your claim was rejected. You will have five calendar days to electronically resubmit your claim and correct the problems. If you do not, your claim information will be deleted from the website. Once you pay the fees listed in the Notice of Payment Due by logging into the website and clicking on the “View Payment Due” link, the court will email you a Notice of Acceptance of Filing and a copy of the processed documents. After this, you have to serve the defendant(s). 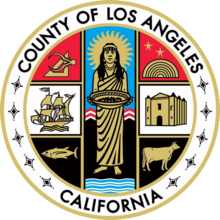 Los Angeles County Superior Court has twenty-six different courthouses that handle small claims cases. Below is a list and information about each courthouse. Do you have questions about where to file your case? If you are a Defendant, the name address of the courthouse where your case will be handled will appear on the forms you are served with. Department 2 at the courthouse handles small claims hearings and trials Monday through Friday at 2:00 P.M. The phone number is (626) 308-5521. Small Claims cases are handled on Monday and Thursday at 9:00AM, and Thursday at 1:30PM in Department 1 on Floor 2. Small Claims Court appeals are handled on Thursday at 8:30AM in Department 2, on Floor 2, and Department 4, on Floor 3. Appeals are also handled on Thursday at 9:00AM in Department 5, on Floor 4. Department 6 on Floor 4, handles small claims appeals on Friday at 1:30PM. Finally, small claims claim of exemptions are handled on Thursday at 1:30PM in Department 1 on Floor 2. Information for small claims cases at this courthouse can be found at the windows 01-02 on Floor 2, or by calling (562) 804-8011. Small Claims cases are handled in Room 108 on Floor 1. Additional information can be found by calling (310) 288-1305 for the clerk’s office of this courthouse. Note: For all small claims court cases filed after April 1, 2010, are heard in Glendale. New filings are still accepted at the Burbank Courthouse. The courthouse is open for filings Monday through Friday from 8:30AM-4:30PM. The phone number is (818) 557-3461. The cases are heard at the Glendale Courthouse, Department 005, Monday through Thursday at 1:30PM. Small Claims court cases are heard in Department F43, Monday through Thursday at 8:30AM and 1:30PM and Fridays at 8:30AM. Small Claims court appeals are handled in Departments F40, F46, F47, F49, and F50. In those departments, small claims cases are heard along with law and motion calendars with the exception of Department F40. Fee waiver hearings are held in Department F43 along with noticed motions. The phone number for the small claims cases at the clerk’s office is (818) 576-8586. Small Claims court cases are handled in Department N. The clerk’s office can be reached at (310) 603-7842. Small Claims court cases are handled in Department 1. Orders for Judgment Debtor are on Fridays at 9:00AM in Department 8. Appeals are handled Monday through Friday at 1:30PM in Department 8 as well. This location also offers night court trials on the 2nd and 4th Mondays at 5:30PM for business cases and only with the judge’s approval. The phone number for the small claims court section is (562) 803-7054. Small Claims court cases are handled in Department 7, which is Room 405 on Floor 4. The phone number for the small claims court section of the clerk’s office is (323) 780-2017. Department 1 handles small claims court trials, law and motion, and judgment debtor examination hearings. Departments 2, 4, 5, and 6 handle appeals from small claims court cases throughout the week. The phone number for the clerk’s office is (626) 575-4116. Small Claims court cases are handled in Department 005, Monday through Thursday at 1:30PM. The phone number for the clerk’s office is (818) 500-3551. Small Claims court cases in the Central District are heard at the Stanley Mosk Courthouse on Grand Ave. (scroll down for information on that courthouse). Small Claims court cases are handled in Department 2. The phone number for the clerk’s office is (323) 586-6359. The phone number for the clerk’s office is (310) 419-5132. The Small Claims Unit is located in Room 207. Paperwork for filing a small claims court case is available from the clerk’s office in Room 205 and can be filed in Room 207. The phone number is (562) 491-6235. The Small Claims phone number is (661) 974-7200. The Small Claims unit is in Room 102 on Floor 1. Their phone number is (626) 356-5415. Small Claims court cases are handled in Department 7 on Floor 2 from 1:30-4:30PM Monday through Thursday. Judgment debtor exams are and multiple filers are handled in Departments P, R, or S, Monday through Friday from 8:30-10:00AM. Trial de novo hearings (or small claims court appeals) are held in Department A on Tuesdays from 8:30-11:00AM. Please note there are two courthouses located very close together. We recommend arriving early to ensure you are at the correct courthouse. The phone number for the small claims court division is (909) 802-9944. Small Claims court trials are held in Department 5 Monday through Thursday at 9:00AM. Appeals are heard on Friday at 9:00AM in Department 5 or Tuesday at 2:30PM in Department 1. The Small Claims division can be reached at (310) 519-6014. Small Claims court trials and appeals are held in Department 88A. The Small Claims court division can be reached in person Monday through Friday from 8:30AM to 4:30PM and on the phone at (661) 253-7311 Monday through Friday from 8:30AM-10:30AM and 1:30PM-3:30PM. The Small Claims court unit is located in Room 116 on Floor 1 and can be reached at (310) 260-1886. Stanley Mosk Courthouse on Hill St. The Small Claims court unit can be found in Room 429 on Floor 4 and can be reached at (213) 974-6350. Note: The Stanley Mosk Courthouse is very large. Please give yourself plenty of time to find parking and your correct courtroom department as the courthouse is large and confusing to navigate. The Small Claims unit can be reached at (310) 222-6400. Information regarding small claims court filings can be found in Room 340 on Floor 3 or by calling (818) 374-2901. Small Claims court cases are held in Department Z which is Room 320 on Floor 3. Small Claims appeals are heard Monday, Wednesday, and Friday at 8:30AM in Department C which is Room 310 on Floor 3. The Small Claims division can be reached at (626) 813-3226. The Small Claims division can be reached at (310) 312-6550 or (310) 473-0842. The Small Claims court division is located in the basement and open during regular court hours or can be reached by phone at (562) 907-3127 from 9:00AM-11:00AM and 2:00PM-4:00PM, Monday through Friday. Small Claims cases are heard in Department 6 (W06) Monday and Wednesday at 9:30AM. One time I went to a court, and the cop didn’t aepapr for the hearing, the judge just re-scheduled the court hearing date to another date. That sucked! How did you make sure that this didn’t happen to you (just get the court date re-scheduled)?